What if you looked exactly like a famous movie star, and one day decided that along with their beautiful face, you wanted the life that came with it? 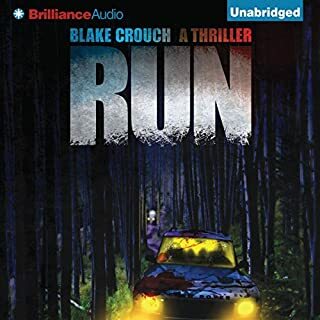 From newcomer Jordan Crouch and Blake Crouch, author of the runaway best seller Run, comes Eerie, a chilling, gothic thriller in the classic tradition of The Shining and The Sixth Sense. It's been 30 years since that night. Grant is now a detective with the Seattle Police Department and long estranged from his sister. 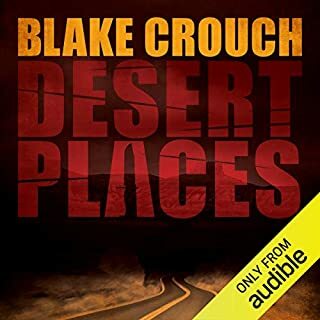 But his investigation into the bloody past of a high-class prostitute has led right to Paige's door, and what awaits inside is beyond his wildest imagining. Would you listen to Eerie again? Why? Yes, I think that it was a very interesting book with dark secrets. It was very suspenseful until the really bizarre ending. It wasn't a very satisfactory ending for me because of how strangely everything was explained. the narrator was very talented and played all the characters well but the ending was just didn't do it for me. Other Crouch books are better and this is possibly my least favorite but I still recommend it. Not if they frequently listen to horror books. Although mysterious at the beginning , became predictable . 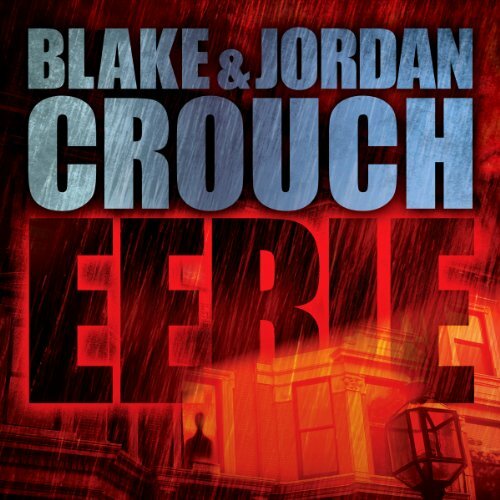 What other book might you compare Eerie to and why? 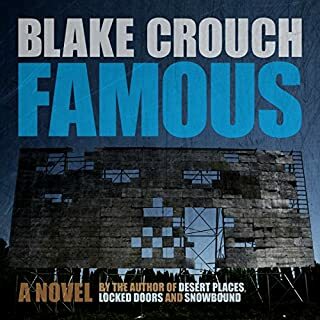 With Blake Crouch, Or Konrath novels. You roll your dice and win 50% of the time. What about Karen Chilton’s performance did you like? I enjoyed the narration. Great range to articulate the different characters. No pauses. The ending was very sweet . Gave me a tear or two. If in the mood for an original idea, I probably wouldn't recommend. Overall a enjoyable listen, despite my previous remarks. 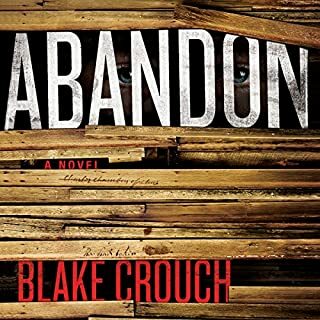 I loved this book and recommend it to anyone who loves suspense and books with surprising turns and endings!!! I LOVED this book!! It brought out 2 of the strongest emotions I buy books for- scared & love. What just happened? Pretty much what you'll be saying more than once throughout this book. This is unlike anything you've read before, and that is a good thing. A great book, a great story. I'll let you decide about the ending. I'm still trying to wrap my head around it. Eerie was in fact Eerie. Love the plot, characters and overall development. Only down side was the choice in narration. If the main character is a man, I prefer the reader to be a man. Narrator though has a very pleasant voice, but in some chapters if sounded as though her nose was stuffed up and that was a bit distracting. I would turn it into a cable mini-series. In the novel format, I had trouble staying interested. None of the characters really resonated nor did I have a sense of the world the story took place in but as an episodic television show there are plenty of places to leave the viewer with cliffhanger. In the right hands, this property would be better in the visual media. I would have made this a smaller subplot in a bigger world. A building block of a larger story instead of a story within itself. What does Karen Chilton bring to the story that you wouldn’t experience if you just read the book? She was a very good voice actress for this story. Her voices were distinct enough most of the time that I knew who was speaking. Was Eerie worth the listening time? It was okay. 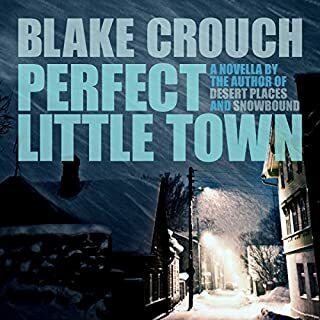 If you are a fan of some of Blake Crouch's other work, you're probably going to want to listen to this one no matter what the reviews are but I would say this is a lesser Crouch work. 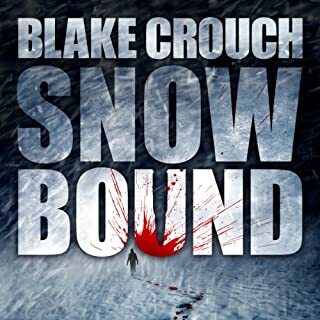 The story was interesting enough, if this is your first Blake Crouch novel you might enjoy it more but after reading Pines and the Thicker Than Blood trilogy, there isn't enough world creation that I look for in my fiction.